It’s easy to get stuck in a rut when it comes to generating content. Writing posts day in and day out. Patterns form. Meanings get lost. Things get boring – not only for you but for your readers as well. You need to keep things fresh and upbeat, and that means bringing in new content ideas from time to time. But how are you going to find new ideas if you’re already stuck in a rut? Why not try one of these suggestions to break free of the content grind and try something brand new? Or perhaps it’s time to cycle back around to something so old it’s new again. You won’t know until you try! Sometimes the most powerful content is the shortest content. A long-winded message is just that: long-winded. But a fiery burst of advice and wisdom is easy to internalize and use. Long, informational posts are valuable, but so are the posts that are designed to light a fire or perhaps rekindle a fire that needs to be relit. Who doesn’t love a good visual? 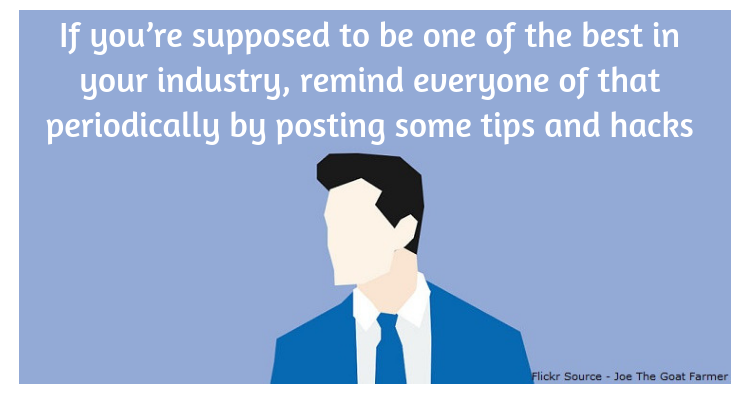 Skip the long post about the information and just show what the industry is up to instead. Make some charts and graphs to show progress or decline. Take some polls – or pull data from others who are paid to take polls – and put it to good use a post dedicated to the state of the industry via a good graph. We love graphs. A good Google Alert can give you plenty to write about. Set up alerts or monitor newsfeeds from primary sources. On days when you’re struggling to find ideas, simply see what’s in the news and use that news as a basis of a new post. An increasingly large percentage of readers get their news from social media anyhow. Give them what they are looking for – even if they didn’t know they were coming to you to get it. Animation is a critical element in your social media strategy. That means from time to time you should be posting images that include animation. This is especially true if you are posting on Instagram or Facebook. While still images and infographics can catch the eye, animation is even more appealing – readers can’t help but look at your message. The holiday are fast approaching – Halloween and then Christmas and then New Years followed by Valentine’s Day and finally Easter. There are plenty of opportunity to take your content in a seasonal direction if that is something that would work for your company or website. 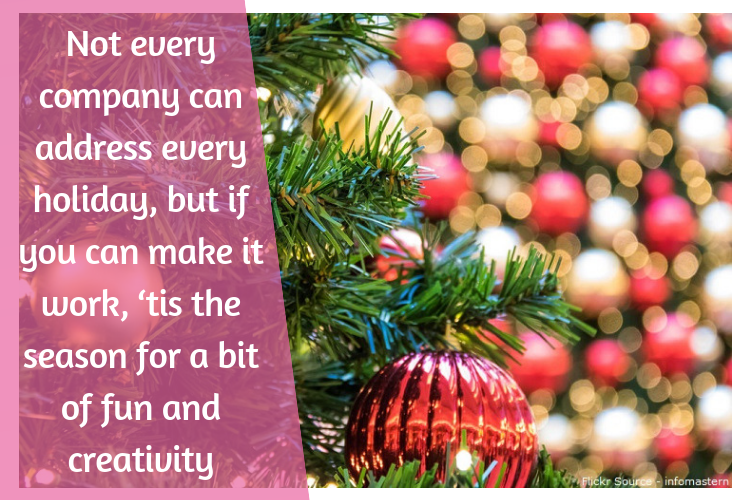 Not every company can address every holiday, but if you can make it work, ‘tis the season for a bit of fun and creativity. A good chart or graph can show a great deal of data over time or trends. But a single statistic can be a powerful message all by itself on your social media account or blog. Make a graphic to showcase a single, powerful statistic. Or use multiple statistics in an infographic. 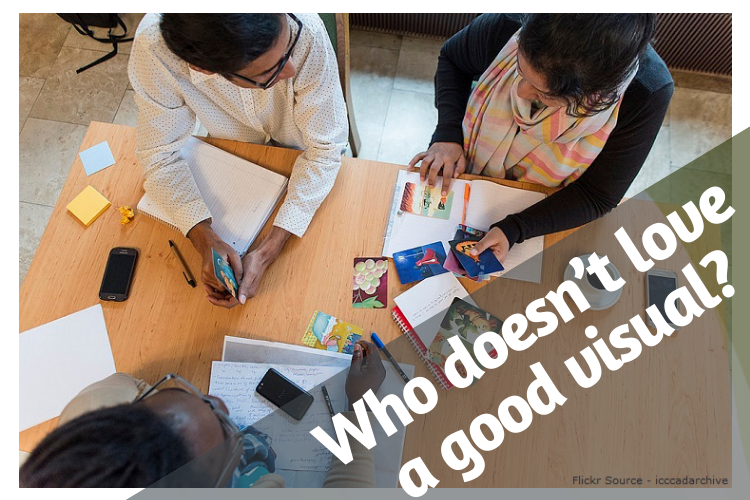 Bring light to interesting and potentially useful information and your readers might very well share and then come back for more. If you’re supposed to be one of the best in your industry, remind everyone of that periodically by posting some tips and hacks. A list of three or five or seven top tips to make life simpler or improve the use of a product are hugely popular. Four hacks, one easy trick, six tips or more, readers love a good list and some potentially useful information. Here’s a two-for-one deal. Create a poll as your post and ask readers a question that is interesting, but not a critical stake. You don’t want to turn off readers by getting too personal, but you want to pique their interest by asking something they would enjoy knowing more about. Set up the poll on social media and then let the comments and votes commence. Later you can use that poll data to create a post in its own right about how it all breaks down. You can generate some good discussion with your social media posts by setting them up as open ended responses or a fill-in-the-blank question. Set readers up with a sentence starter like “One of the best things I do for productivity at work is…” and let them finish the sentence in the comments or by retweeting or posting your source post. You might become inspired by their responses as well. We are humans, which means we love a good story. 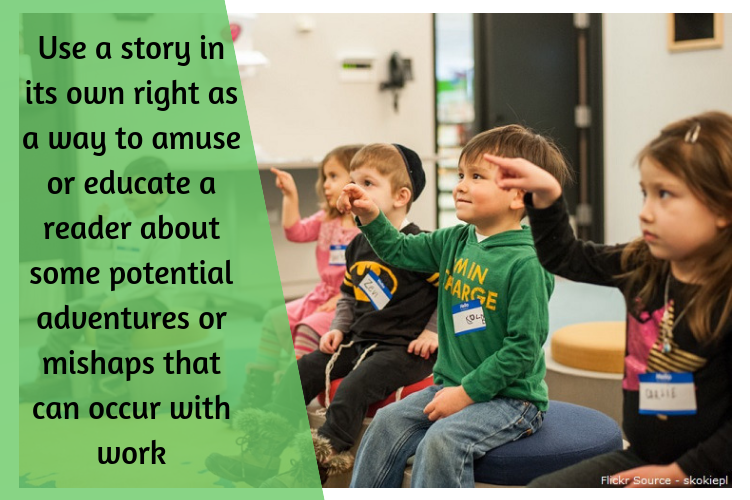 Use a story in its own right as a way to amuse or educate a reader about some potential adventures or mishaps that can occur with work. Or use an old legend or tale as a parable for a deeper or broader message you’d like your readers to consider. 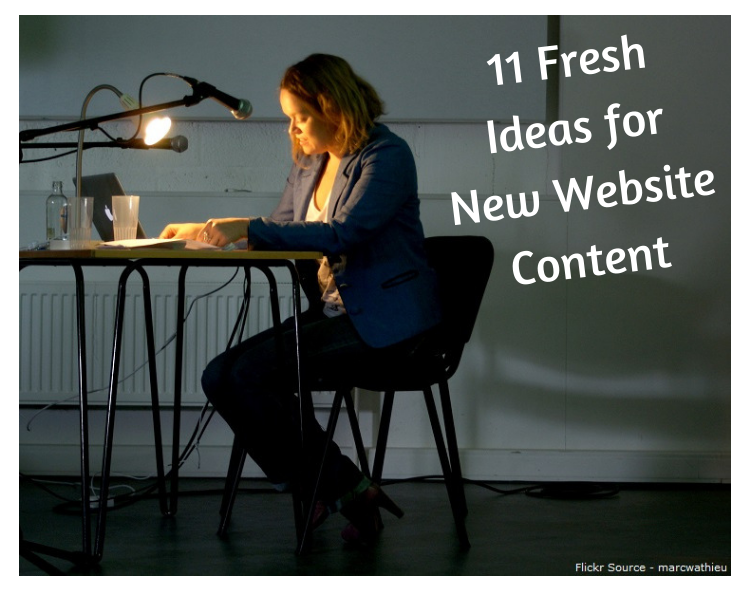 Generating new content for a website can be tedious even for the most seasoned writer. New content keeps things engaging and entertaining, and having some new ideas to work with helps to keep you motivated as well. And with anything related to working toward success in a small business – motivation is always critical. Finding new content these days is a touch task. But as for blogs in new or intermediate stage, there is a lot of content yet to be published. I think it depends more on the niche of the blog. The ideas you mentioned above can be of great help. I also prefer long posts. It is better to find something at one place. I went through your posts and what I found in your posts was truly amazing and keep up the good work. you share a such of wonderful information, it’s very helpful to us about the new website content. I am so vibing with #1 these days Oleg. Gotta love short, powerful bursts of content, for building a thriving website. Great ideas for generating content that converts into a loyal following! 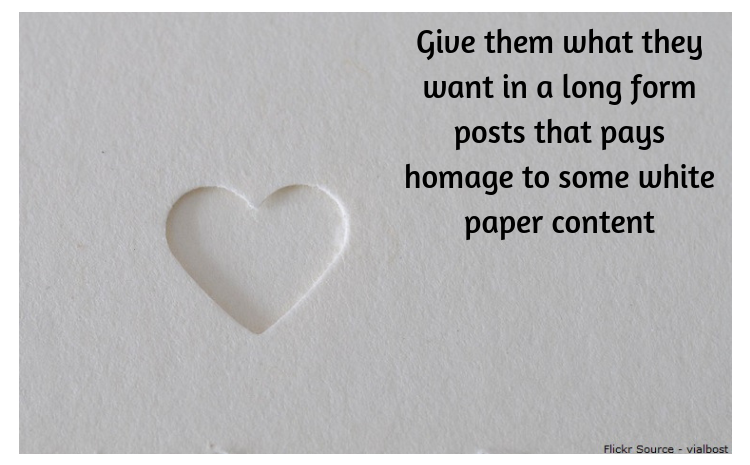 Funny how both short bursts and long white paper posts are BOTH great ways to engage people. Bottom line with those and your other ideas are to generate content that is solution-based and/or inspirational. You are absolutely right because content is most important part for grow our business and high position on eyes of search engine. Our content should be easy for understanding and proper writing. Really great content. Website content should be powerful for SEO. SEO is totally depend on Content. Content help to improve your conversion rate. The way you talked about the material is absolutely right, without material, nothing should happen. We should first strengthen our content. Infographics play an important part in increasing user experience, thus increasing your rank on google.